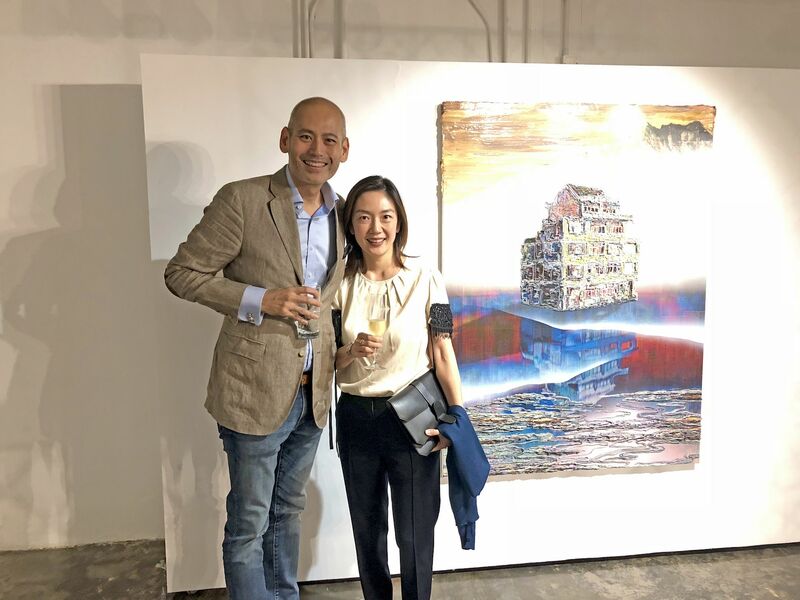 Galerie Huit hosted a dinner at their Kwun Tong gallery to celebrate the launch of Gordon Cheung’s debut Hong Kong exhibition, “Home”. The UK born contemporary artist was in attendance fresh from his recent show at Duddell’s London, alongside fellow guests Dominique Lee and Joyce Tam. The evening also recognised Hong Kong’s Art Week, with the wine company Pont des Arts serving a selection of Zao Wou-Ki 2010 and 2011 throughout the night. The "Home" exhibition will run until January 19 and features a collection of mixed media paintings and a Chinese lattice screen installation. Dominique Lee Co-chairman of worldwide fashion sourcing company M Magtague; collects antique cars. Joyce Tam Executive director for Goldman Sachs in private wealth management.